George Minot researched numerous blood disorders, including leukemia, and made his most famous discovery by isolating a treatment for pernicious anemia. Though we now think of this as a relatively minor ailment, in the early 20th century it was a deadly disease. Minot meticulously recorded the diets of patients with anemia, seeking a unifying factor that might lead to a cause and a cure. Following up on the research of George H. Whipple, Minot and his colleague William P. Murphy fed liver to patients suffering from pernicious anemia -- basically, feeding them liver until they could stand to eat no more. Their findings showed that the ingestion of one half-pound of liver daily effectively reversed the course of the disease. In collaboration with chemist Edwin Cohn, Minot and Murphy then formulated an effective liver extract, and showed that a very small quantity of this extract, administered intravenously, had the same effect as eating huge quantities of liver. This became the standard treatment for pernicious anemia until Vitamin B-12 was isolated, two decades later. For their life-saving work, Minot, Murphy, and Whipple shared the 1934 Nobel Prize in Physiology or Medicine. He married Marian Linzee Weld, who had been his next-door neighbor in childhood. 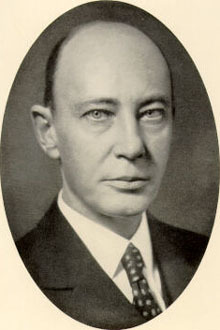 A member of the Boston blueblood Minot family, he was distantly related to 1890s Secretary of State Richard Olney and 1990s Massachusetts Governor Bill Weld.